It has to be one of the more bizarre stories of the year. Rachel Dolezal, the pale-skinned former president of the Spokane, Washington chapter of the National Association for the Advancement of Coloured People, has been accused of misrepresenting her race. For years, she has claimed to be black, and has built a career on that reality. Now her parents have come forward to say that her genetic heritage is European, with no black blood at all. Indeed as a teenager she was blonde and freckled. She has been labelled a “con artist” and accused of putting on “blackface“. Interviewer: Let me just ask you the question in simple terms again… Are you an African-American woman? Dolezal: (nodding) I identify as black. In another interview on NBC, she said, “I definitely am not white. I’m more black than I am white. That’s the accurate answer from my truth”. How can this be? Can white people simply choose to be black? Plenty, from Ali G to Eminem, have adopted black character and performance traits, but Dolezal is going way beyond that. Liberal instincts might lead one to say, “If she wants to call herself black, why should we stop her?” On the other hand, a number of African-Americans have objected on the grounds that a white person should not just adopt a black identity for a while and then drop it when it’s no longer convenient. “She says she’s black, but we don’t know if she’s always black. Is she black when she’s purchasing a home? Talking to the police? Or is she black only when vying for a role where lived experience would help her odds?” writes Jamelle Bouie in Slate. Could a black person choose to be white when pulled over by the cops or seeking a mortgage? But Dolezal protests that her choice to be black is a profound and irreversible one. “I was actually identified when I was doing human rights work in north Idaho as first transracial,” she said. So is this akin to people of one gender choosing to adopt another, a practice that has now gained widespread acceptance? Is transracial the new transgender? Could Dolezal spark a trend of race-swapping that might break down further the racial divide that still haunts America? The fact that commentators are still debating Dolezal’s claims implies that this is not a clear-cut, black & white case. More than a few seem to think she may have grounds for her self-identification as black. Which suggests that it is not only Ms Dolezal’s reality that has been reshaped but the very meaning of race. Here’s a standard representation of what’s going on in the Middle East right now: a terrorist group is killing civilians and the nation state that it threatens is struggling to deal with it, so the US and other Western powers feel obliged to intervene. We could be talking about Islamic State and Iraq, but the same words could also be used to sum up the confrontation between Hamas and Israel playing out in Gaza. Yet what both of these cases demonstrate is the inadequacy of these traditional terms. Simply labelling Hamas and Islamic State as terrorist groups does not encourage insightful analysis of these desperate situations. Equally, the very concept of the nation state is being tested to the limit in this turbulent region. We need better, more nuanced conceptions of the major players if we are to respond appropriately to the challenges they pose. Start with Islamic State. On the surface this is a particularly nasty organisation. Everything we hear about them fills us with dread – beheadings, crucifixions, persecution of minorities, mass executions. But to think of them merely as terrorists is dangerously to underestimate them. They are an army, battle-hardened, well resourced, with strong leadership, great communications and a clear vision that inspires many. Yes, they use terrorist tactics, but so have plenty of western nations and organisations. The British have a long history of horrific executions designed to send a message – think of Indian mutineers strapped over the muzzle of a cannon and blown apart. 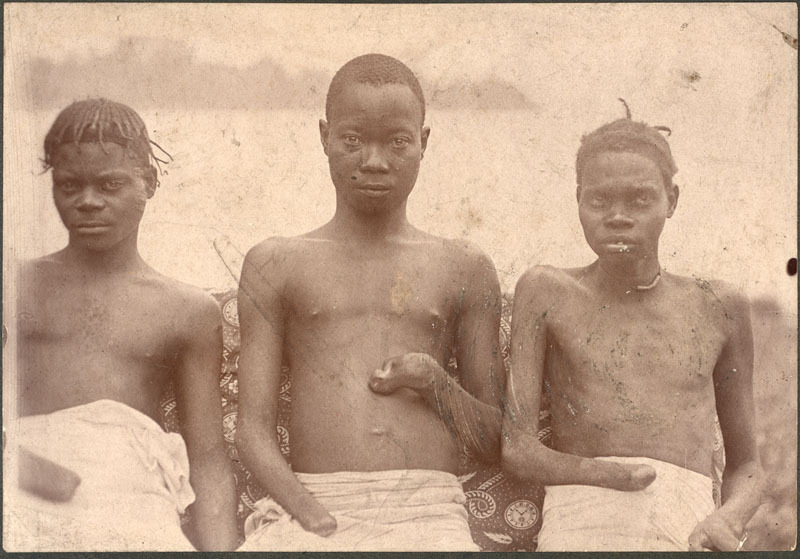 Heads on stakes and severed hands were commonplace in the Belgian Congo, and let’s not forget the many atrocities ordered by German officers within living memory. The real test is not the horrendous tactics used by Islamic State to achieve their military goals, but the way they behave once they are firmly in control. Thousands fled Mosul when ISIS, as it then was, rolled into town. But reports from the city suggest that life has almost returned to normal. Residents have been surprised by the moderation shown by their new rulers. The world looked on aghast as Islamic State captured the strategically vital Mosul Dam, but against many expectations they did not blow it up – even when they knew they were about to lose control of it to Kurdish forces. They behaved, one might almost say, responsibly. This is in no way an apology for Islamic State, whom I sincerely hope will be wiped from the face of the earth before long. My point is that it does us no good to think of them solely as “terrorists”. They are perhaps closer to the Huns, the Magyars, the Mongols or Nazi Germany – a terrifyingly effective military force using extreme methods to subjugate large numbers in a short space of time. Their desire to convert those they subjugate to Sunni Islam does not make them terrorists any more than the British determination to make so many distant people subjects of Queen Victoria. Hamas is similarly complicated. They are the group the people of Gaza trust most to run their affairs. That is to say, they won a democratic election. They are more than just terrorists. Yet they cannot be said to be a governing party to the same extent as Israel’s Likud, for they have so much less power over the land they govern. They do not control Gaza’s airspace, borders or imports, and they have extremely limited resources. Moreover they lack the financial link most political parties have with the people they represent – the majority of Hamas’ funding comes from other Arab governments and individuals, often with a strong anti-Israel agenda. So Hamas is a democratically-elected paramilitary organisation funded by foreigners that has to operate within very narrow parameters to achieve a goal (Palestinian statehood) that many around the world support. And yes, they target civilians (as the British and American air forces did in World War 2 and Vietnam). Then there are the nation states, many of which don’t fit our traditional understanding of the term. Iraq’s government no longer controls large swathes of the country; the same is true for Syria: neither one exercises sovereignty over their own people and lands, thereby failing one of the most basic tests of statehood. Meanwhile, an alternative state has emerged in the Kurdistan region of Iraq, with a powerful army and a strong sense of its own national identity. Other states such as the US do not recognize Iraqi Kurdistan as a nation state – indeed it has not yet claimed to be one – and yet they are allying with it and treating it very much like a nation state. Israel itself has long been a paradox of a state – a land full of Arabs, run by Jews, with de facto control over large areas of territory that theoretically belong to other countries. Meanwhile, the Palestinian state does not technically exist, even though we have a very clear sense of where it should be and which people should be citizens of it. The variability in statehood matters enormously both in terms of capability and culpability. A state that cannot control its own cities and armed forces cannot be relied upon to act on international agreements or obligations as other states would. This is particularly true of Syria and Iraq, and also to some degree of Lebanon and Yemen. But equally a state that lacks full control cannot be blamed for some of the things done by its own organisations and people. The state of Israel is highly capable and is consequently fully accountable for the actions of its settlers and armed forces, in a way that the severely constrained Palestinian proto-state cannot be. The point is that if we do not recognise the exact nature of each entity with a role to play in the Middle East – putting them instead in out-dated boxes labelled “terrorists” or “states” – we cannot possibly work out the best way to approach them, support them, isolate them, negotiate with them or fight them. If the Middle East is a chess board, we need to acknowledge that the pieces are not simply black or white but have a range of characteristics, capabilities and limitations – they are knights and bishops and pawns and queens. Each entity must be viewed and dealt with in a unique way. 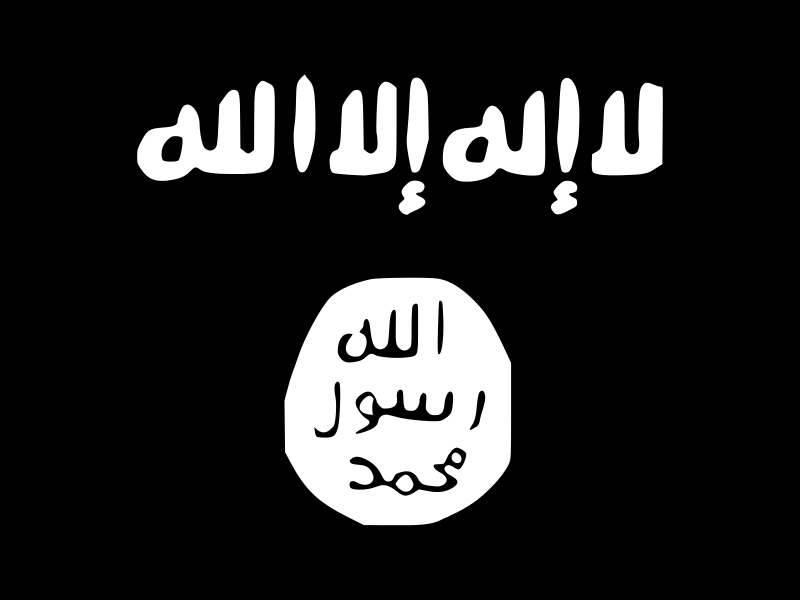 As US Defense Secretary Chuck Hagel recently said of Islamic State, “This is beyond anything we’ve seen.” The reality that will eventually emerge in the Middle East depends critically upon how we choose to describe its constituent parts today. In explaining the origins of her timely and influential book Lean In, Sheryl Sandberg recalls the prevailing assumption throughout many organisations in recent years that the battle for gender equality had been won and women could now expect to be judged and promoted just the same as men. By her analysis of the historical data, women made great progress for several decades but that progress stalled ten years ago. Women currently hold fewer than 6% of the top CEO jobs in any country. Women represent a minority in every government, NGO and industry. In the US, 75% of workers in the non-profit sector are women, but only 21% of the big non-profits are run by women. Yes, there are practical challenges for women with children, but that’s not enough to explain the imbalance. Her conclusion: we still choose leaders based on their gender and we still put barriers in the way of professional women. I too was guilty of the lazy assumption she identified, perhaps because I grew up in Thatcher’s Britain, and because in consulting and publishing women do tend to thrive. But it’s also the case that the leadership teams and executive committees I work with across Europe and America tend to be around 90% male. Aside from in HR and Comms roles, women are dreadfully represented at the tops of most organisations. So Sandberg’s realisation that our perception of reality had become distorted and needed to be reshaped resonates with me. We had let ourselves be misled by an old (and possibly outdated) truth — that opportunities for women are improving — into missing a more important competing truth — that we still have a long way to go.